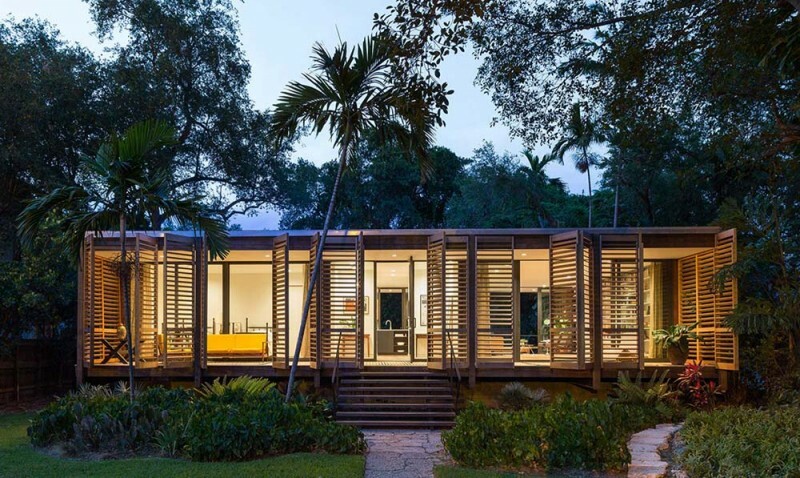 A modern day oasis lost in the middle of a massive urban metropolis, the Brillhart House bucks an entire fist full of trends as it provides a lush tropical paradise in the heart of Miami. 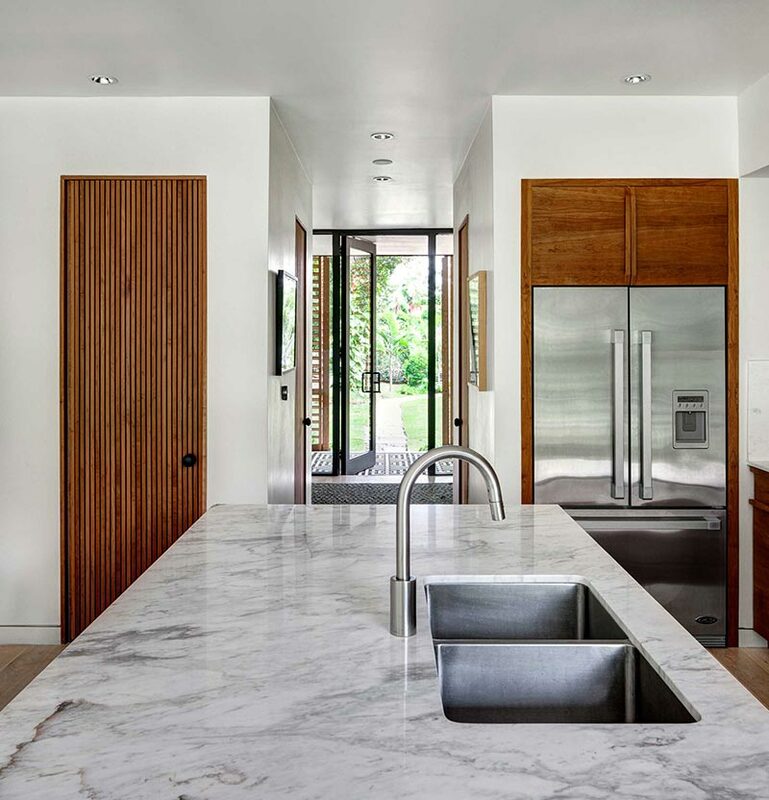 The house is the brainchild of husband and wife architecture team Brillhart Architecture, who designed it for themselves in part to showcase their visionary approach. 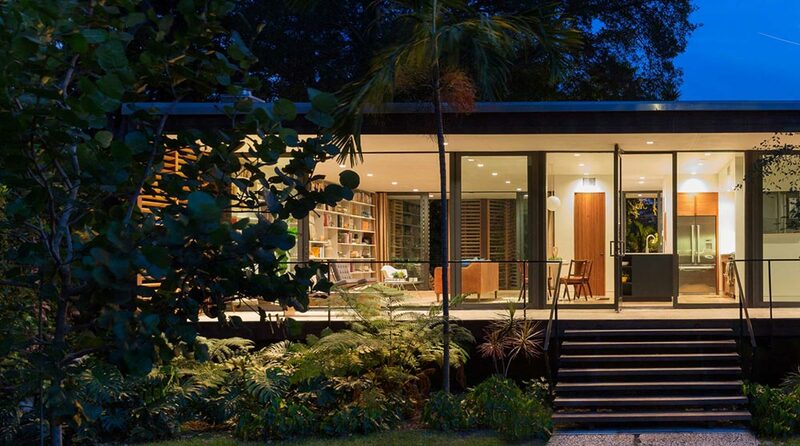 The home occupies a single floor and is visually protected on all sides by towering palm trees and a plethora of landscape gardens. 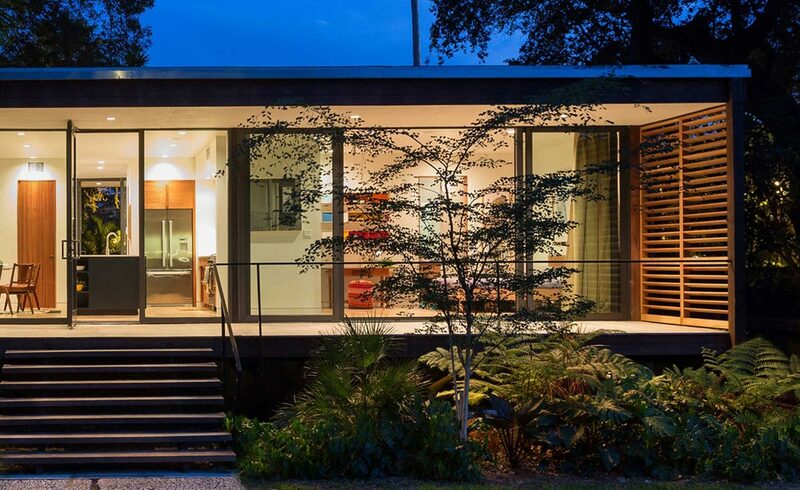 The house is less of an object in space, and more an essential piece of a miniature ecosystem. 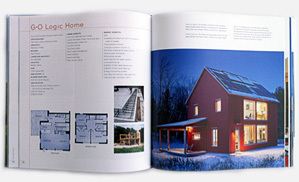 The house takes an old school approach to form, organization and construction. Unless something was completely necessary, it was removed. The result is a contemporary look with an early-century modern soul. A wide staircase centers on the primary axis of the home, taking you up to the elevated concrete plinth that suspends all interior spaces a few feet off the ground. It’s a move that pays respect to the landscape by touching down on it with delicacy. Foliage grows around and under the structure largely unhindered. 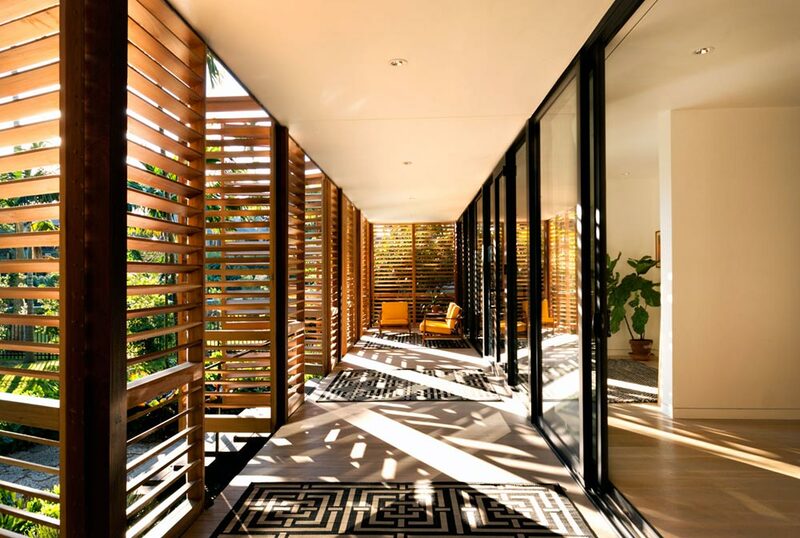 A floor-to-ceiling ribbon of glazing anchors two of the four exterior facades providing complete transparency through the public areas of the home. 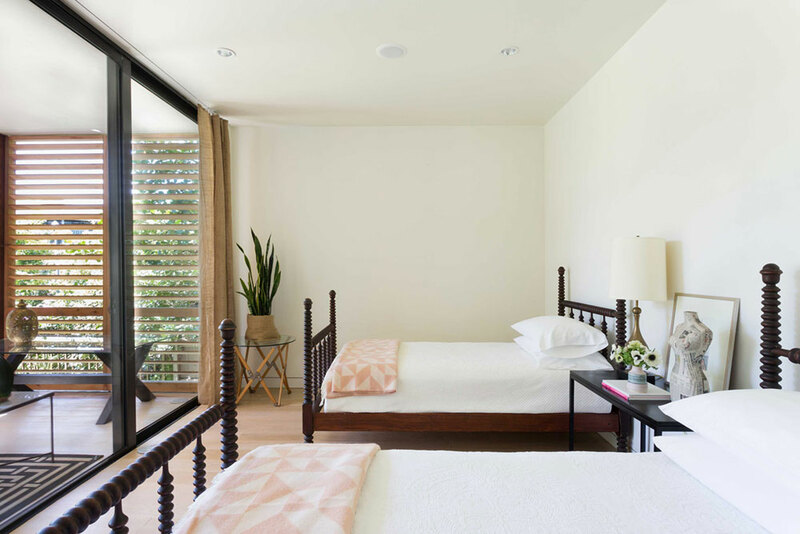 At the rear yard, full-height shutters open and shut along a continuous aluminum track, providing modulation of light and air and creating a flexible, transitional deck space. 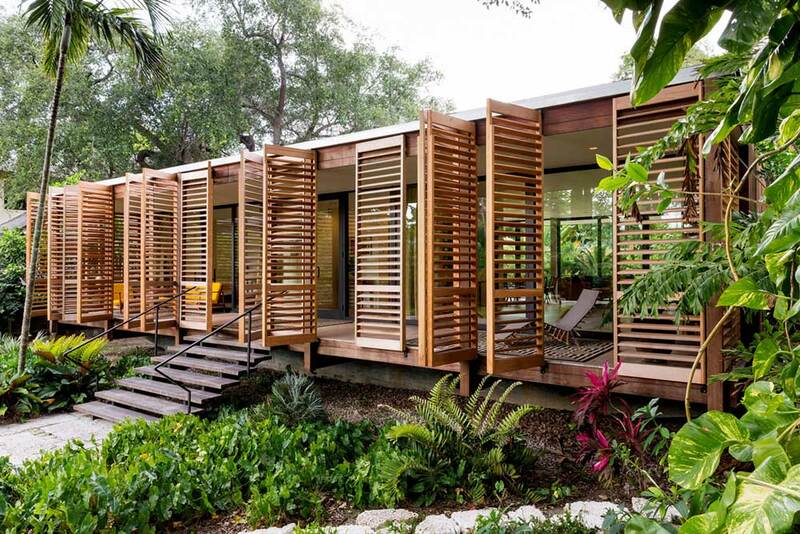 The shutters act as one of the primary exterior materials and have a rhythm to them that is echoed by a rigorous structural grid. There are no extras. If a design feature or element isn’t doing three things or more, it wasn’t included in the design. That type of architectural efficiency is a rare treasure in the design world. 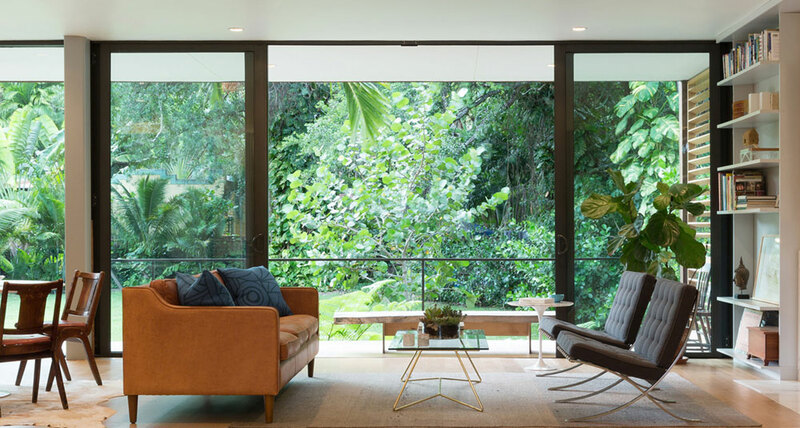 The interior material palette pays homage to the colors and textures of the tropical foliage that inspired them. Soft wood accents perfectly complement the harsh industrial feel of the large glazed openings. The result is a beautiful collage of man-made and natural, which speaks to the conceptual force behind what the architect calls ‘tropical modern.’ One must not forget the fast-paced city that looms just beyond a few well-placed palms. But once you step foot into the Brillhart House, that’s exactly what you do. Can it be modified for colder climate like Tennessee?